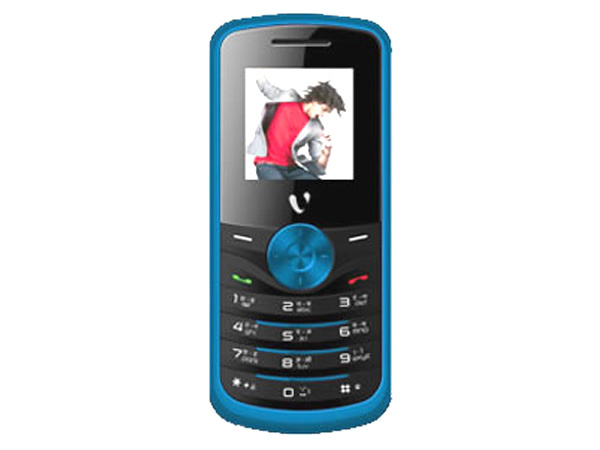 Videocon V1293 is a stylishly designed low-priced multimedia music phone. Read on for the latest reviews, features, specifications and the price in India for this mobile phone. Videocon V1293 is a music phone that comes in a stylish design with vivid coloring strips that gives an excellent look to the phone. It is loaded with 3.6 cms (1.44�) TFT Screen Display, Dual Sim-Dual Standby, up to 2 GB T-Flash Expandable Memory, Powerful LED Torch, Preloaded Games, MP3/ MP4 Player with 16 hours playback on ear phones and 5 hours playback on Loudspeaker option, FM Radio with Recording, Audio Recorder, Mobile Tracker, Loudspeaker, and includes many more other excellent features. It includes long high-stamina Li-ion 1000mAh battery that offers implausible talk time up to 6.5 hours and standby time up to 8 days. The phone is designed in a candy bar form factor measuring in a dimension of 100.4 x 44.8 x 14.4mm and operates at Dual Band GSM 900/1800 MHz frequency.